A range of exclusive properties have gone on sale at a new South Yorkshire development. Nine detached homes are being sold at Park Drive, Sprotbrough, with prices starting from £519,999. A show home has opened at the site, giving prospective buyers the opportunity to get an idea of the impressive size and scale of the properties. Each of the homes has five bedrooms, en-suites and garages, with high standards of internal finishes and fittings. Kitchens include built-in ovens, microwaves, dishwashers and fridge-freezers, while all of the homes are fitted with a special media and communications hub for making the most out of TV, broadband and telephone connections. The bathrooms come with thermostatically-controlled showers and illuminated demisting mirrors, while other mod-cons include smart meters to check on energy usage, security alarm systems, low energy lighting and near-silent mechanical ventilation systems. Garage doors are operated by remote control, while each of the exclusive properties has front and rear gardens. With these properties based in one of the most sought-after locations in South Yorkshire, there is sure to be plenty of interest from potential buyers. 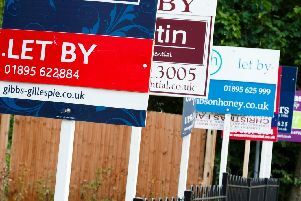 Agent Duchy Homes urged would-be buyers not to delay in having a first-hand look at the standard, space and size offered by each of the homes. * To book an appointment, contact Duchy Homes on 0844 5220230.